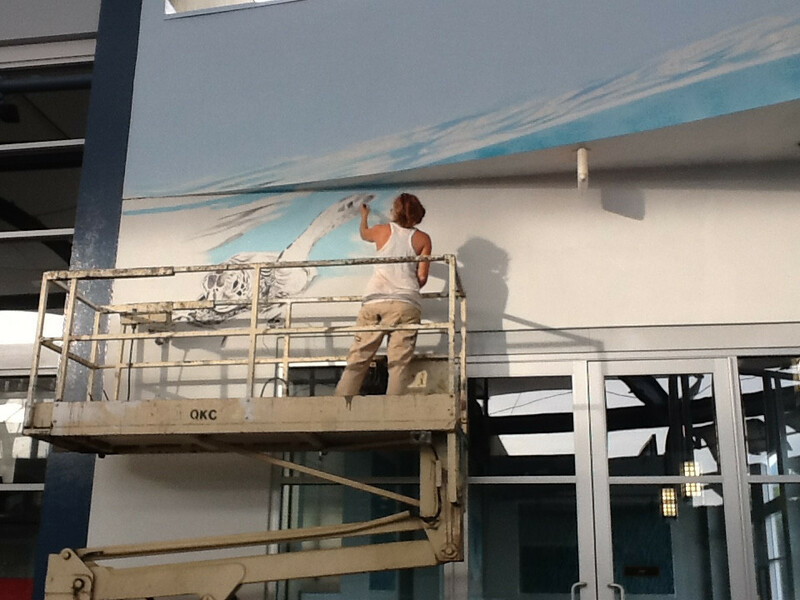 Robena, one of Maui's premier artists, has installed another original at Luna&Tide - a wonderful store in Paia. 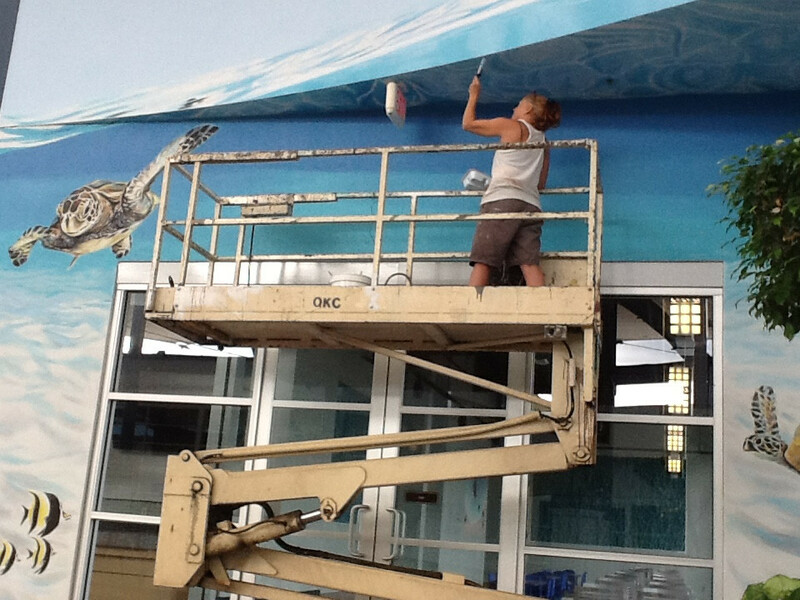 Capturing the awe and beauty of Maui, Robena goes underwater to find her latest subject matter. 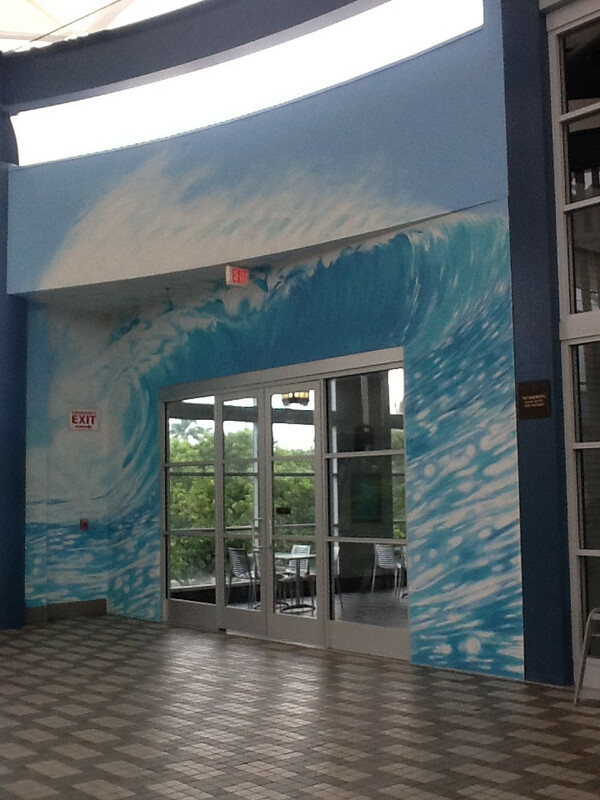 Titled Maui Blue, the painting is a vision of the ocean just off the shoreline at Baldwin Beach; a true sense of place for those in love with the pristine waters that surround the Island. 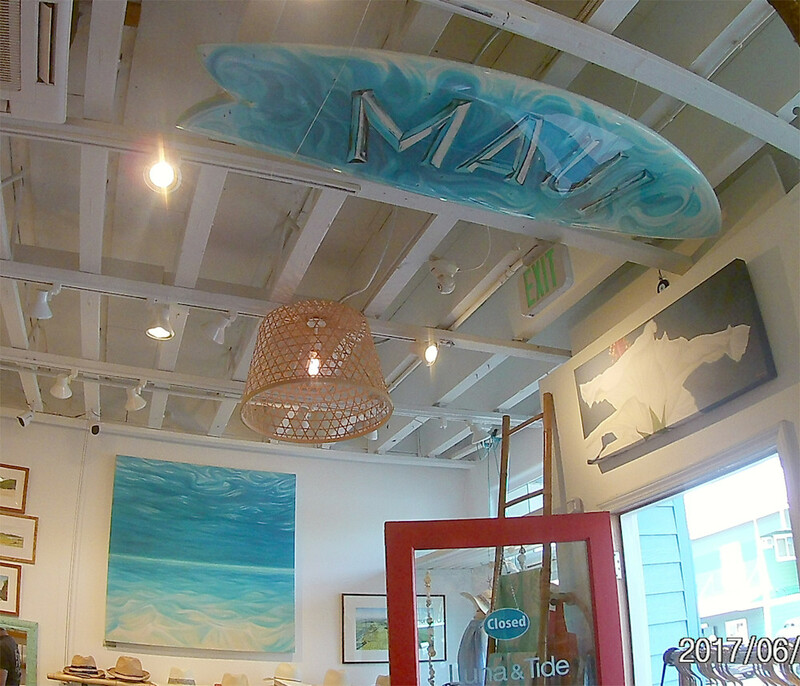 When looking at the painting as it hangs in the store, notice the surf board that is hung from the ceiling.. Robena painted this fully-functional mode of local transportation - just one of many she has created. 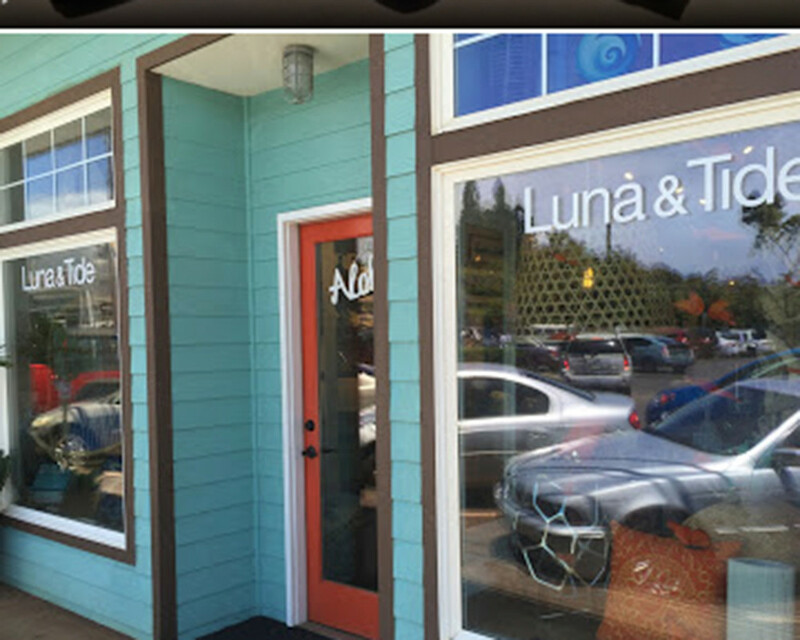 Stop by Luna & Tide, located across the street from the town's iconic Mana Foods, to see her work and to immerse yourself in the glorious items that pack this legendary store. 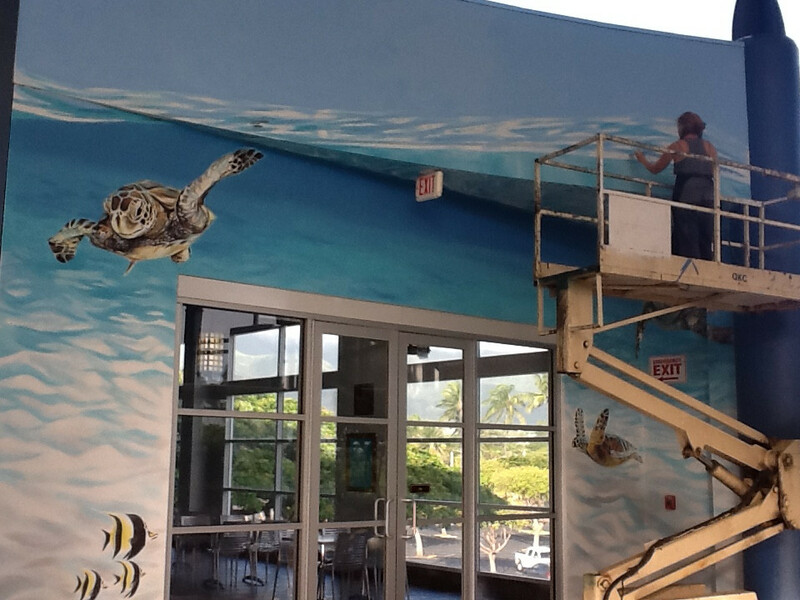 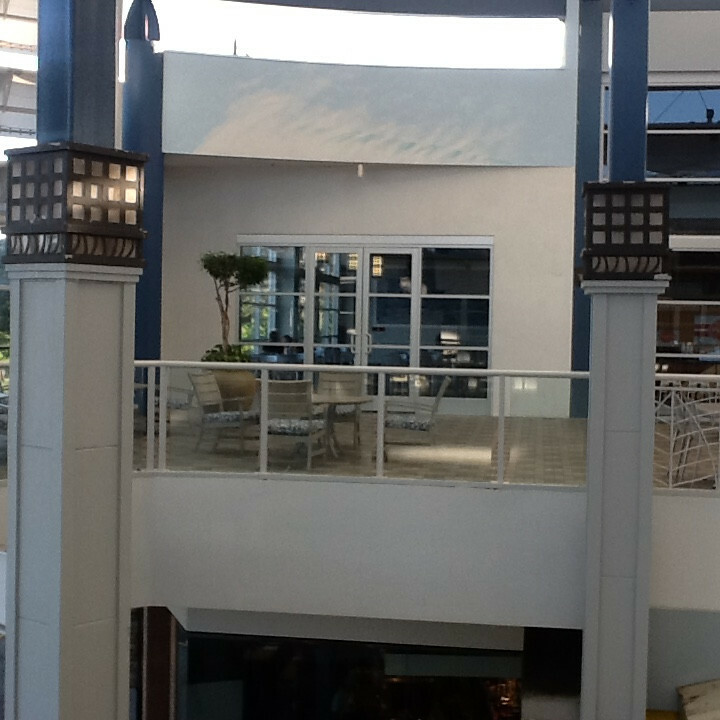 For over two weeks, from 5:00 in the morning until 9:00am when the mall would open, Robena painted two murals at the Queen Ka`ahumanu Center as part of their renovation. 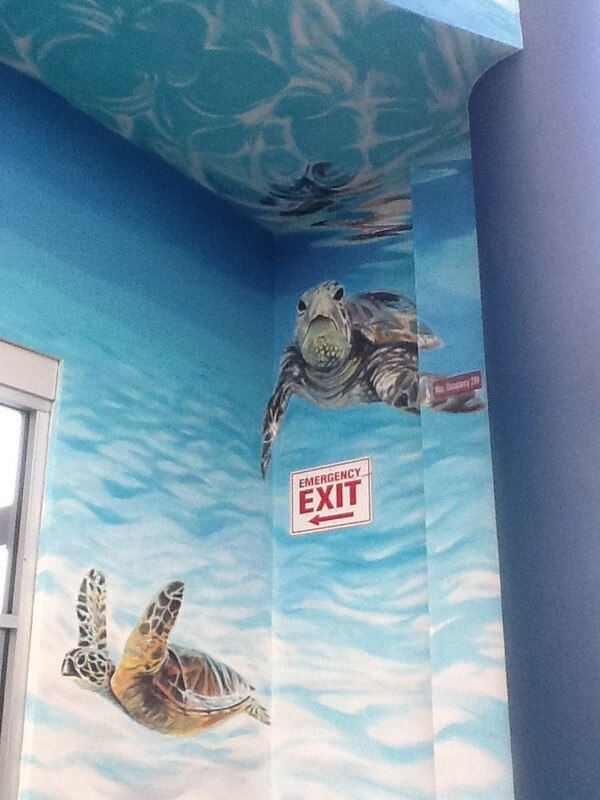 Through sporadic rain, wind gusts, the morning chill, and the sway and clatter of an old lift, Robena created these iconic images in the food court area - a calm underwater scene with sea turtles, and the other, the face of an enormous wave. 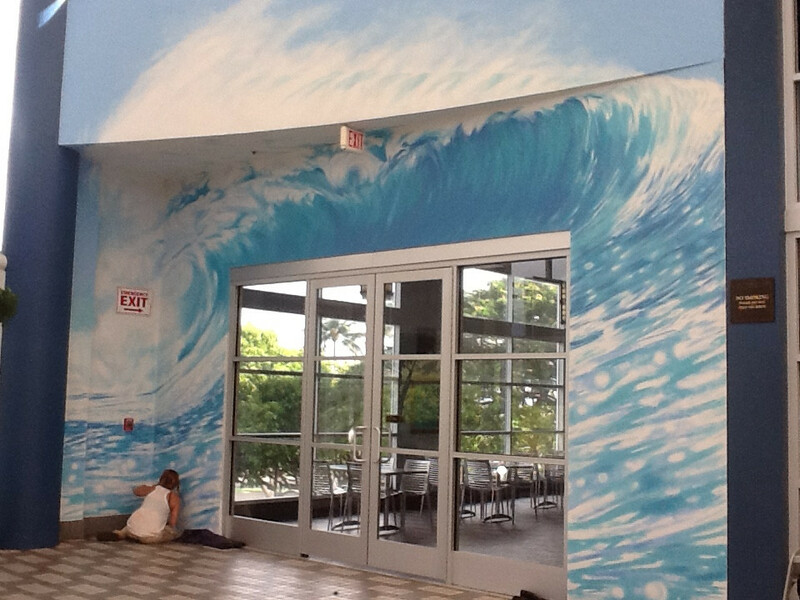 Together, they both depict the magic and the majesty of the ocean that surrounds Maui. 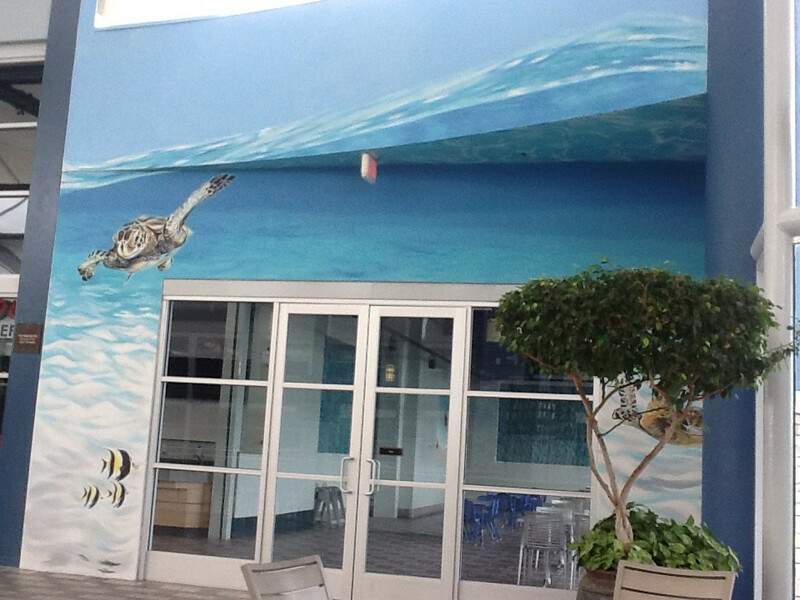 Robena loved this project, and is grateful for the opportunity to contribute to the Center's facelift.